Take a moment and imagine your dream beach. How does it look? If you need help, try to search for ‘stunning beach’ on google images and see which photos wow you. If you imagine your dream beach to have silky smooth and light colored sand, you are not alone. As our recent beach survey supported, sand color and quality is important to the beach experience. Not only does a white sand beach look good in itself, it also makes the sea water appear more clear and blue as explained in Why Tropical Waters Are So Damned Blue by Perceptive Travel. The inviting turquoise water derives from the composition of algae in the water, often present in tropical areas. When we inspect and describe beaches, we want to make sure that we have standardized measures to characterize them. What one person would describe as golden sand, another may describe as white or light brown. 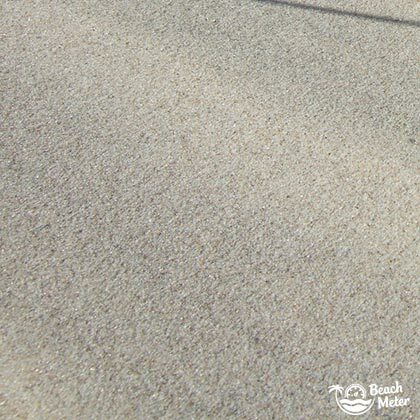 That is why we have developed the Beachmeter Sand Color Spectrum. By applying this spectrum, you will know what we mean, when we describe a beach as having white, golden, light brown or pink colored sand. You are of course more than welcome to print out the sand color spectrum and try it on your own local beach. What might appear to be a brown, pink or green beach, will look different under a microscope. The sand grains often have a palette of different colors and shapes. 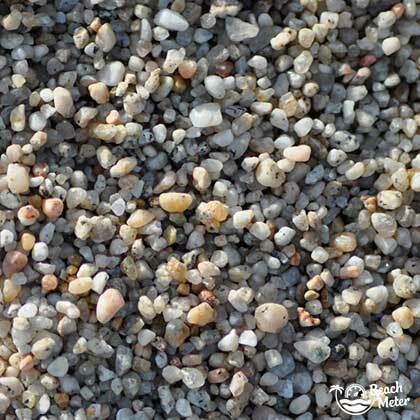 Most sand on beaches is composed of gray or tan quartz and feldspar. 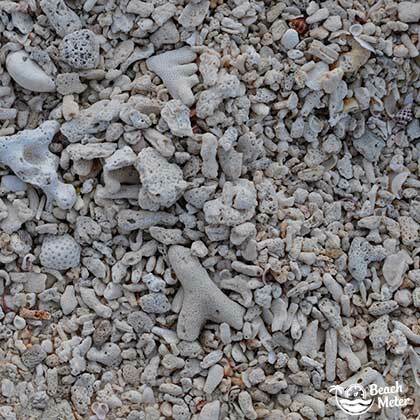 Quartz is a light-colored mineral, so your white sand beach will most likely have a lot of quartz in it. Darker sand comes from a number of minerals that are often denser and heavier than tan and quartz. A common mineral giving the beach a dark color is Magnetite. You may also be familiar with black-sanded beaches derived from volcanic sediments such as the beach seen in the cover image. Here are some different close-ups of sand grains from different beaches. 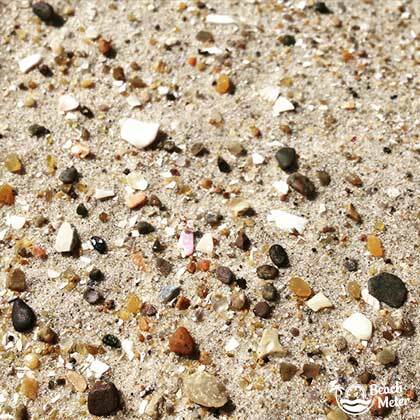 The closer you inspect the sand grains, the more colors you will find. However, from afar these beaches have a more uniform color. Sandatlas.org has a great overview of different sand colors including details about their mineral compositions. For example, you can learn why there are pink beaches, red beaches, and even green beaches along with the more common spectrum of sand colors.